Jihadists repeat what the previous 90 examples of famous jurists say, often quoting some of the same jurists and verses from Koran and Hadith. The term War on Terror™ is used like we are at war with a tactic. Here are 5 notables, then a listing of many around the world. "I am one of the servants of Allah. We do our duty of fighting for the sake of the religion of Allah. It is also our duty to send a call to all the people of the world to enjoy this great light and to embrace Islam and experience the happiness in Islam. Our primary mission is nothing but the furthering of this religion." No fatwa ever declared him non-Muslim (apostate). Raymond Ibrahim translated some of his personal writing in his book The Al-Qaeda Reader. 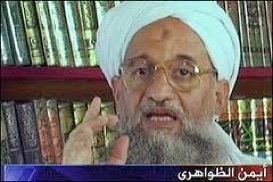 2) Ayman Al-Zawahiri (1951- ) - Chief ideologue of Al-Qaeda, and “operational brains” behind 9/11. He studied at Cairo University, is reportedly qualified as a surgeon, and was more knowledgable about Islamic theology than bin Laden. He joined the Muslim Brotherhood at 14, was inspired by Qutb’s writings, and met Sheik Abdullah Azzam in Egypt in the early 70‘s. His underground cell eventually became the Egyptian Islamic Jihad, who was behind the assassination of President Anwar Sadat in 1981. He was arrested with hundreds of others, imprisoned, and probably tortured. 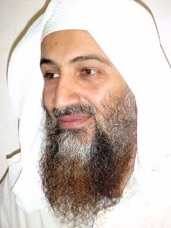 In 1985 he left for Saudi Arabia, where he practiced medicine in Jeddah and likely met bin Laden. He wrote Knights Under the Prophet’s Banner (2001), which Ibn Warraq says is one of “4 core texts of jihadists” today, and was announced as AQ #1 after bin Laden’s death in 2011. The US Department of State was offering $25 million reward for him. In 2013 an Arabic website reported that Egyptian Muslim Brotherhood president Morsi secretly met with him in Pakistan and promised to smuggle him back into Egypt. 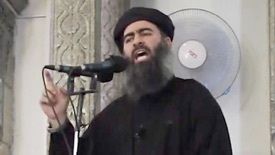 3)Abu Bakr Al-Baghdadi (1971- ) - First Caliph of the new Islamic State (ISIS, ISIL) created in 2014. Has PH.D in Islamic Studies. "Allah on 480 occasions in the Holy Koran extols Muslims to wage jihad. We only fulfill God's orders. Only jihad can bring peace to the world. We will continue our struggle until foreign troops are thrown out. Then we will attack them in the US and Britain until they either accept Islam or agree to pay jizya." -The seizure of a Moscow theater in 2002 where dozens of hostages and militants died. -The 2004 school hostage taking in Beslan that killed 331. -The seizure of about 1,000 hostages at a hospital in Budyonnovsk that killed about 100. • A sampling of statements by jihadists from around the world. • A list of American Muslim jihadists. Notice how many people in that list and other jihadists are converts to Islam who somehow misunderstood the peaceful tolerant teachings of the religion, yet there are no comprehensive effort in mosques to prevent this from happening ever again, nor to defeat any Islamophobia™ they claim exists by taking these 5 simple steps. • Spencer comments in China: Three Muslims sentenced to death for trying to hijack and blow up plane.